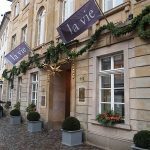 First of all, Osnabrück, in Germany’s North Western corner, houses one of Germany’s best restaurants: La Vie. First, his flavours are extremely clean, he intensifies the flavours that are already there. Secondly, the menus presented in La Vie are not just a collection of different meals, but a symphony. Furthermore, Thomas Buhner trained to cook at the Schweizer Haus in Paderborn. Then worked at the Düsseldorf Hilton under Günter Scherrer, the Landhaus Scherrer in Hamburg. Also at the Grand Cru Restaurant in Lippstadt. Finally at the Restaurant Jörg Müller and at Harald Wohlfahrt’s Schwarzwaldstube. As a result, he learnt the importance of discipline and became intrigued by the down-to-earth attitude and humaneness that Wohlfahrt showed towards the people who worked for him on a daily basis. 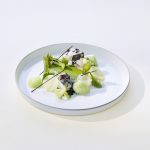 Consequently, two years later Thomas Buhner became Chef at the La Table Restaurant in Dortmund in 1991 where he gained his first Michelin star five years later, followed by a second one in 1998. 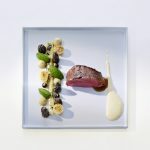 Eventually, in 2001, Thomas Buhner was awarded the Gault Millau “Rising Star of the Year” award and was voted “Chef of the Year” just five years later. Since 2006, Together with his wife Thayarni Kanagaratnam, he has been running Restaurant La Vie in Osnabrück. 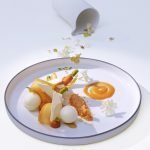 To conclude, in 2009, he received the accolade of becoming a Relais & Chateaux “Grand Chef”, while La Vie was granted membership of “Les Grandes Tables du Monde” at the beginning of 2010. 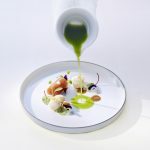 In 2011, he was awarded with a third Michelin star.